Valet parking hosted by Irvine Company on the weekends. Dining at Modo Mio is a delight, thanks to the efforts of owners Phil and Linda Crowley and their talented staff. From the moment diners are greeted, as they enter the Newport Coast, California location, they are enveloped into a haven of warmth and hospitality. The Modo Hospitality Group is dedicated to creating and serving superb Northern Italian specialties, to their devoted clientele, in an ambiance that is both inviting and relaxing. You truly are family at Modo Mio. The service is exceptional and the food is wonderful. Generous servings with your order. Modo Mio is truly a gem. The service is world class and the food truly is incredible. As someone who has lived in Newport his whole life, I can say this is the best restaurant in the town and it’s not even close. Everything was 5+ stars except for the noise level last Saturday evening. Food, drinks and service were outstanding, Unfortunately conversation was very difficult because of the very loud ambiance. Love Modo Mio! 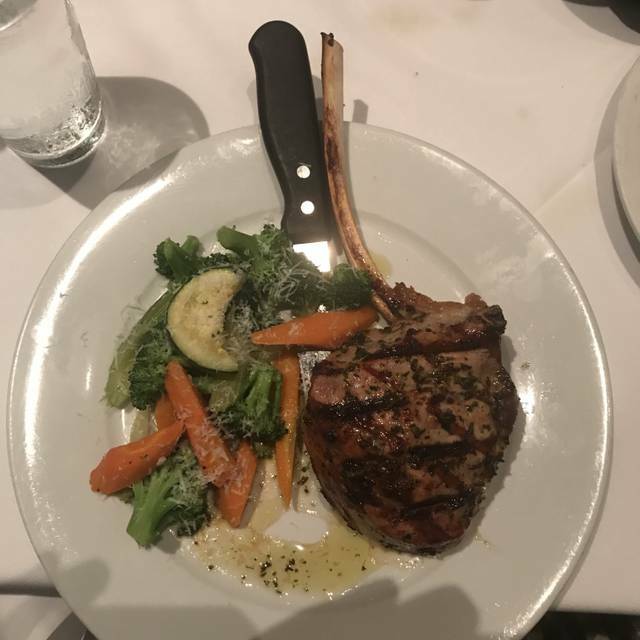 The food and service is always great! Took our own bottle of wine. Aside from the 1st pour from the waitress, we poured own from then on. Not a criticism, but wonder what the "rule of service" is. Should she ask if we like another or do we decide for ourselves? We celebrated two friends birthdays. The food was delicious and a diverse menu. Only problem was the long delay in getting our main courses. Always solid. Service was over and above any other restaurant in the area. Love! Not on a Friday evening. Our reservations were for 6:45. The noise level made it almost impossible to have a conversation at our table with only 4 people. Modo Mio is a wonderful place to dine--excellent salmon dish, good drinks and service. Especially enjoy the mushrooms they serve as an appetizer with their compliments. Look forward to going back again soon. The food and ambiance were excellent! And the service was just as good. The restaurant was somewhat noisy, primarily because it was full. Overall, a wonderful dining experience. Risotto was in edible. Way way way too much lemon. Wait staff just hangs around the station. Not Good experience for the cost. 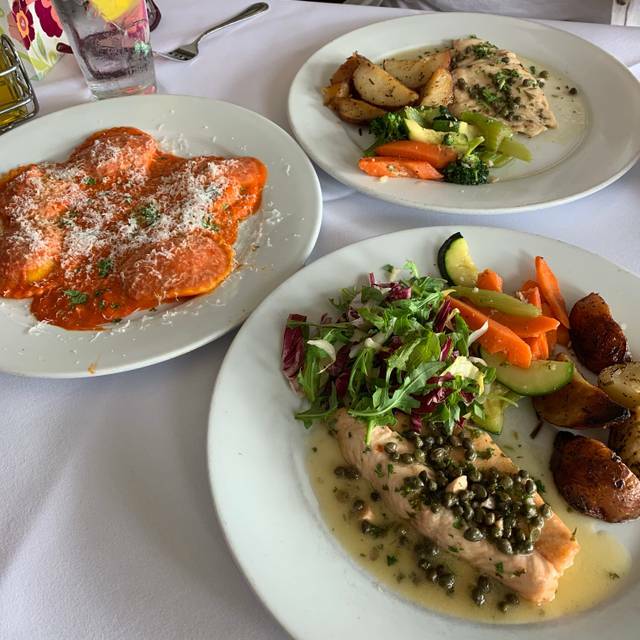 We have dined at Modo Mio on at least 2 dozen occasions over the years and have always been pleased with the food and service. Last Saturday was a distinctly different experience. We had made a reservation through open table for 7:30 and had requested a booth subject to availability. We arrived on time and were asked to wait for our table which can happen. While we were waiting we noticed a half booth that was being set up and asked for that table. The response was that they would try to accommodate us. We were then called and escorted to a different table. The half booth was still vacant. I asked about being seated there and the hostess told that we could not have that table . Not three minutes later another couple who arrived after us was seated at that table! My wife mentioned that later on the owner or manager was chatting with that couple. It seemed obvious to hear that some guests at that restaurant might be valued more than others. That being said the food was delicious, but it was both our feelings that our patronage was not valued. This place has been our family's go to spot for amazing Italian food since we moved to the area 12 years ago. We are friendly with with the owners and they really care about the quality of the food, their employees and the community. Enrique is THE ABSOLUTE BEST, he always takes the best care of us and always remembers the whole family. He is the sweetest guy and super hard working. At one point he was working 3 jobs and always had a smile on his face. Put his 3 boys through college and now his son is graduating from medical school and going to be a brain surgeon! We LOVE Modo Mio - the food is always superb. Had a hard time deciding what to order - very diverse interesting menu. Everything sounded wonderful. We shared the pignoli pasta and the gnocchi, both with their ‘special’ sauce. They were delicious. The caprese salad was our appetizer and it was a very generous portion and also really good! Love this restaurant for its wonderful food, atmosphere and location on the coast! A great local authentic Italian restaurant with good food and fair prices. Good food good service and nice local atmosphere. Highly recommended. One of our favorites! Food is always wonderful. Owners Phil and Linda Crowley are very gracious, supervising the food and staff. Linda always wants to know how you like the food. Often, the recipe is hers. Complimentary marinated mushrooms is a unique and excellent starter. Extensive menu..seafood, veal, pastas. So many tempting desserts. Would give it a 5 star for sure except for the noise level which can get pretty loud. Food was excellent. The nice surprise were the marinated mushrooms free appetizer. Very limited hours of operation so get there early. We have dined her twice and have enjoyed the food very much. The veal is excellent as well as the pastas we have ordered. 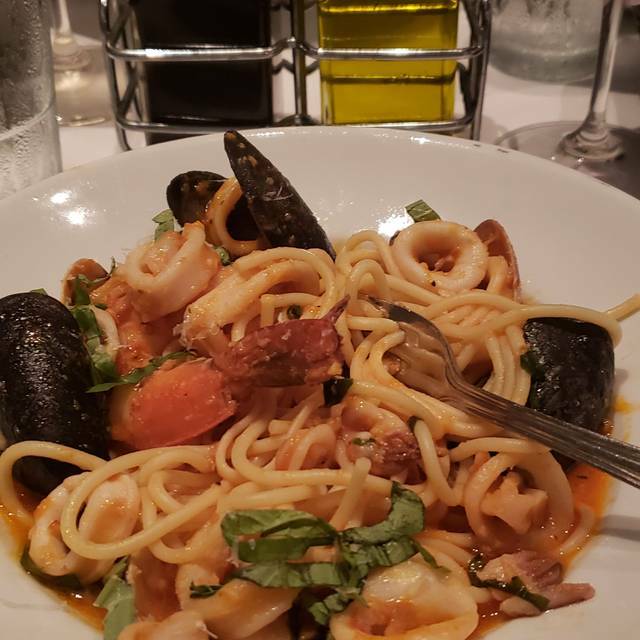 My only disappointment is that both times I have asked about the Pasta with Clams and have been told that they were still refining the recipe and that they have received both positive and negative reviews about it. I feel that a restaurant with such excellent Italian food should have a good Pasta with Clams. It is one of my favorite dishes to eat in an Italian restaurant. Great location across from Crystal Cove, but the food is mediocre and so the evening a disappointment. Great food, service, location and value. Best lasagna ever! The service was lacking from the main waiter. They had an opportunity to wow me, but that didn't happen. My family and I decided to try this restaurant as part of restaurant week, so they could tell we were likely testing the restaurant out. Instead we got a waiter who took our order from the prix fixe menu and never came back to ask us how the food was or if there was anything else he could do to make it a better experience. It was almost like he was putting up with us since we weren't regulars or perhaps didn't look like their typical Newport Coast clientele (i.e., like people with money.) We still dropped $200 for a not so tasty dinner. I can assure you we will never go back - not because it's out of our price range for a regular dinner, but because the service from the waiter was bad. The assistants who brought us water were amazing - that's the only nice thing I can say. Entrees, veal was very tasty, big portion, delicious potatoes and veggies were tasty. Eggplant parm was generous portion and was top notch. Sadly, was too full for dessert. Would recommend. We had a great ladies lunch at Modo Mio this weekend. Everything we had was amazing but we’ve already planned a trip to come back just for coffee and dessert! It was that good. The food was amazingly delicious!! Wow! The atmosphere was also really comfortable with the tables close together but I’ve had much closer. Our only complaint is that the food took a long time to be served. Great service and make sure to have the bread! Outstanding food, wonderful service, although a bit noisy since the restaurant was full. Suggest not to be seated under the ceiling speaker. Hope to return many more times! I've written this review many times. I've not had a better meal anywhere else that is so consistently good, in an atmosphere that is consistently pleasant, with superb waitstaff...what else can you want! Excellent meal, as always. Another wonderful dinner at Modo Mio. Salmon A+; very nice Spinach salad, good Veal Marsala and Chicken. 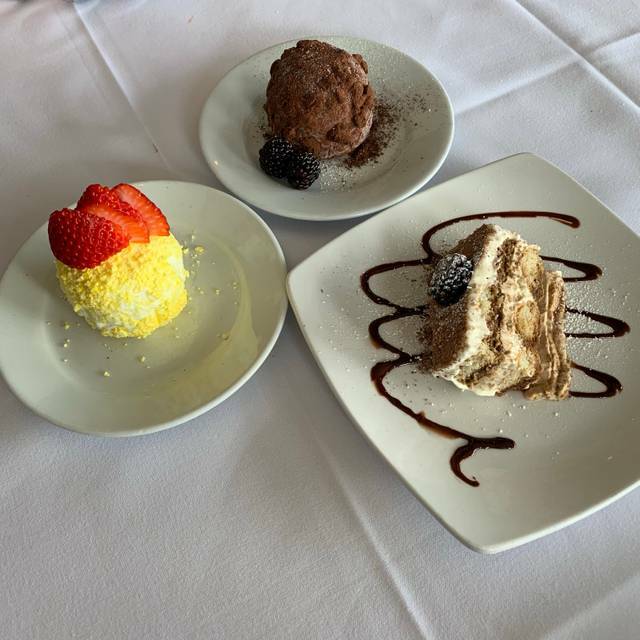 Loved both the Tiramisu & lemon cheese cake. Eric did a super job serving us. Incredibly warm gracious service, excellent food, charming neighborhood gem.